Why should you start a business in East London? To make it clear at the outset, we have chosen to look at Tech City as its own sub-region, thus excluding Hackney from our East London focus. To most, East London is now known as the location of the 2012 Olympics with the Stratford Olympic Park but there’s a lot more to the area than its place in sporting history; especially given the recent major redevelopment of the Olympic Park into a “world leading” digital business hub – Here East. The hub (pictured), which will see investment of around £1bn, is intended to turn the area into a centre for creative and digital businesses with a one million sq ft infrastructure which will house global companies such as BT Sport and Infinity LDC alongside innovative digital and tech start-ups. Backed by former London Mayor Boris Johnson and iCity, the redevelopment has already begun with key tenants moving in later this year and the area is expected to be fully operational by 2018 – good news for any budding creative and digital entrepreneurs. What’s more the “enterprise campus” is expected to attract thousands of workers which is a promising sign for new businesses looking to source talent in the area. It’s not just digital businesses that have the potential to thrive in East London though; the area is known for its manufacturing industries and has a lot of support on offer for manufacturing companies. On the border of Havering and Dagenham you’ll find the Centre for Engineering and Manufacturing Excellence (CEME) which positions itself as a catalyst for “technology revolution”. Located in the Thames Gateway, on the A13 in Rainham, the centre forms part of the government’s £400m East London regeneration programme and is a great hub for businesses in the engineering, manufacturing and technology sectors. Its campus is also home to the CEME Innovation Centre which provides over 18,500 sq ft of serviced offices, combining co-work offices, meeting and conference rooms and virtual office solutions. There is also a wide range of office space; be it flexible or private, available to a cross-sector of businesses. Barking Enterprise Centre and Dagenham Business Centre offer physical and virtual co-working space while the borough’s May & Baker old site is set to be turned into a retail and business park. For industrial space, Bexley claims to be home to the third largest concentration of industrial land in London, and as a result the borough has a superb range of commercial accommodation and development land. Newham also has a wealth of office premises which includes a worskhop for artists and designers – Sugarhouse Studios. As with most London areas, it’s easy to get around and travel in East London which traverses Zones 3-5; Newham is well connected with easy routes to Stansted Airport at Stratford station, the Great Eastern Lines passes through Havering as does the District Line alongside the London, Tilbury and Southend Railway. London’s new container super-terminal, the London Gateway, is also close by, being only 40 minutes drive from Dagenham. East London’s population, albeit one of the largest in the capital, has the lowest number of people of working age which is a disadvantage to start-up businesses. Sourcing qualified and highly skilled employees is also potentially more difficult in the area as there are only 37% with NVQ Level 4 qualifications or above which is noticeably lower than the rest of London. Given its smaller and less qualified workforce, it’s unsurprising then that acquiring talent in East London is more affordable for new businesses. Average weekly salaries are much lower than the London average at £588.75 and Barking and Dagenham in particular would be a good for choice for start-ups looking to hire on a budget as average weekly salaries are £534.50, it does vary by borough though with Havering at the higher end of the salary bracket; £626.30. Although the number of skilled workers is smaller, there is still a pool of graduate talent which start-ups can tap into. The University of Greenwich, recognised by the Sunday Times as the best university in London for teaching excellence, is a popular university for economics, law, creative arts and business making it an ideal resource to find prospective employees. More for business support than talent, Barking & Dagenham College also offers dedicated business training. In Bexley, entrepreneurs can connect with the Bexley Skills and Employment Partnership (BSEP) which is a group of 16 organisations that works to increase employment opportunities for local residents and to support the growth of local businesses. East London has a lot on offer for creative, digital and tech start-ups with its incubators and accelerators geared towards these industries. Go East – a combination of accelerator and support agency – is located in the borough and virtual incubator in Greenwich (available to businesses nationwide). Its digital accelerator provides free support to small and medium-sized businesses that work in the creative, digital or smart city arena. Newham is also expected to have a tech-accelerator with Stratford’s Here East development planned as one of the upcoming locations for TechHub, the start-up community and workspace created by TechCrunch Europe editor Mike Butcher and CEO Elizabeth Varley, which is backed by Google and other partners. There is a comprehensive range of loan funds in the borough, including the Business Loan Fund which enables small initial borrowings for new and existing businesses unable to secure a bank loan. Loans can be increased up to £10,000 as the business expands. The East London Small Business Centre offers a similar funding initiative with expansion capital of up to £10,000. More funding initiatives are expected in line with the construction of the Here East development. As part of its programme of support, Digital Greenwich hosts events around new market opportunities in and around the Greenwich Peninsula. In Barking and Dagenham, the BOLD initiative, part of Barking and Dagenham Enterprise, runs events throughout the year for local businesses; its upcoming events include a seminar on how to grow your business. Average house prices are the most affordable in London at £367,497; over £160,000 less than the London average (£534,785) and half that of nearby Tech City where the average house is priced at a staggering £633,300. It’s worth noting that Newham is regarded as one of East London’s most deprived areas but the regeneration in Stratford should help to change the local economy and perceptions. Considering East London’s dense population, crime rates are actually considerably low for the area which is a good indication for entrepreneurs looking to live and work in the area. According to the Metropolitan Police’s figures for January to December 2015, there was a total number of 113,853 crimes committed across this period with Bexley and Havering reporting the lowest crime levels. Newham has the highest crime rates (28,911) but this is linked to the fact that it has the largest borough population for East London with over 318,000 people. Greenwich is a hive of activity, be it socialising, visiting local attractions or eating out. The O2 in North Greenwich is one of the most popular venues with the O2 arena and a range of places to eat including Goucho and the recently launched Brooklyn Bowl which combines cocktails and food with bowling. Greenwich also has a number of recommended bars and brewery tasting rooms such as Hopstuff Brewery and Meantime Brewing. 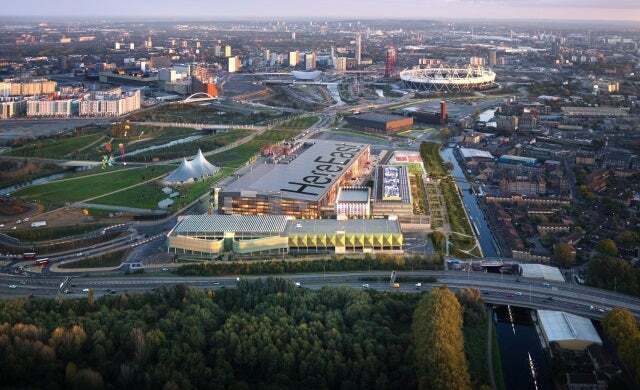 Newham is also on the up as a tourist destination with its popular Westfield Stratford shopping centre, ExCeL Exhibition Centre and its reputation as the home of the Olympic Stadium which will soon become Here East (see above). Other attractions in the area include Bexley Brewery which is a local favourite and Havering’s Romford Market. For local culture, Newham has the Theatre Royal Stratford and for history buffs Greenwich is home to the Old Royal Naval College and National Maritime Museum. East London also has some lovely green spaces such as Danson Park and Hall Place in Bexley and the stunning Greenwich Park.